to adopters than younger, healthier dogs. This caused our seniors to remain in foster care for extended periods of time, tying up valuable foster homes for other seniors in need. Additionally, due to the length of time in foster care, many foster families became attached to their foster dogs and adopted them. These same foster families were, therefore, reluctant to foster again, not wanting to adopt additional pets. Quality adoptive homes became harder to find as well. With dwindling foster families and adopters, we were considering shutting down. 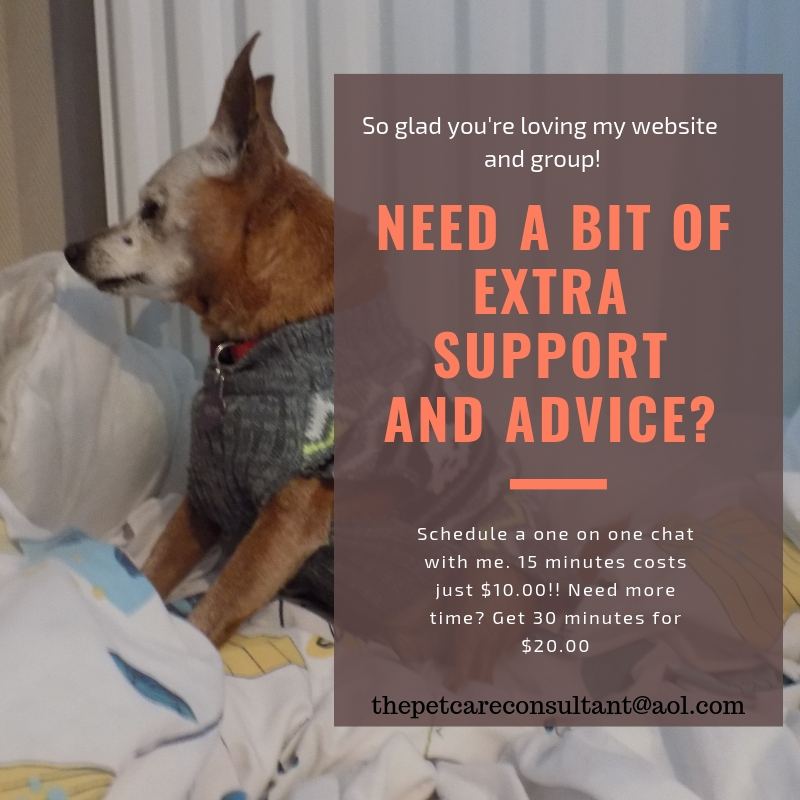 Being passionate about assisting senior dogs in our community, we began exploring other options and found programs, called Pet Retention Programs, being offered in larger cities. These programs come alongside struggling pet owners to provide the assistance needed to keep pet and owner together, reducing shelter overcrowding and the need for already over-burdened rescues to take in. The best option is always to keep senior dogs in their homes whenever possible. Providing financial assistance allows for the best possible outcome – keeping owner and companion animal together. enters the shelter, pet retention programs are one of the most effective ways to save lives by preventing pets from entering the already overcrowded shelter system in the first place. We found a critical need not being met and felt that this was a way to make a significant impact on senior dogs in the Central Valley. 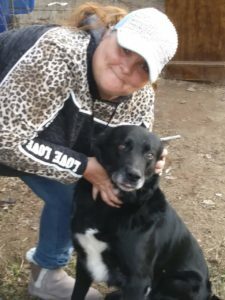 In late 2016 Elder Paws Senior Dog Rescue become Elder Paws Senior Dog Foundation and began administering our pet retention program, called “The Pandora Fund”. This program covers up to $1,000 in essential vet care for dogs 6 and older based on income qualifications as set by the County. It did not take long before the phone starting ringing with referrals from vets, vet techs, controlled rent housing managers and social workers who had a pet owner with a senior dog in need of assistance. Within the first 3 months we had provided the means for 20 financially challenged families to stay together, including, but not limited to, senior citizens, the disabled and veterans, all living on a fixed income and struggling to cover the cost of their own medical care. Before we began our Pandora Fund fixed income owners of senior companion animals had 2 very difficult options: keep their sick seniors at home and watch them suffer, or surrender them to a shelter in the hopes they would get the care they needed. (Senior dogs typically get 24-48 hours at most kill shelters). Our Pandora Fund added a 3rd option: keeping senior dogs in their home with owners who loved them. 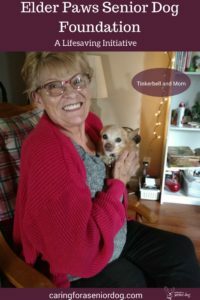 By assisting with essential vet care needs as well as educating on senior animal care, we are able to not only keep older pets and owner’s together, providing continued love and companionship for one another, but also help our clients to become better care takers for their older pets. It’s a win-win situation all the way around. Elder Paws Senior Dog Foundation is a CA 501c3 non-profit organization that depends entirely on donations from the public and monies raised from our annual Sept. “Hearts of Gold” fundraiser to continue in our mission of keeping senior dogs and the people who love them together. We have no paid staff, 100% of all money coming in goes towards helping our program applicants. 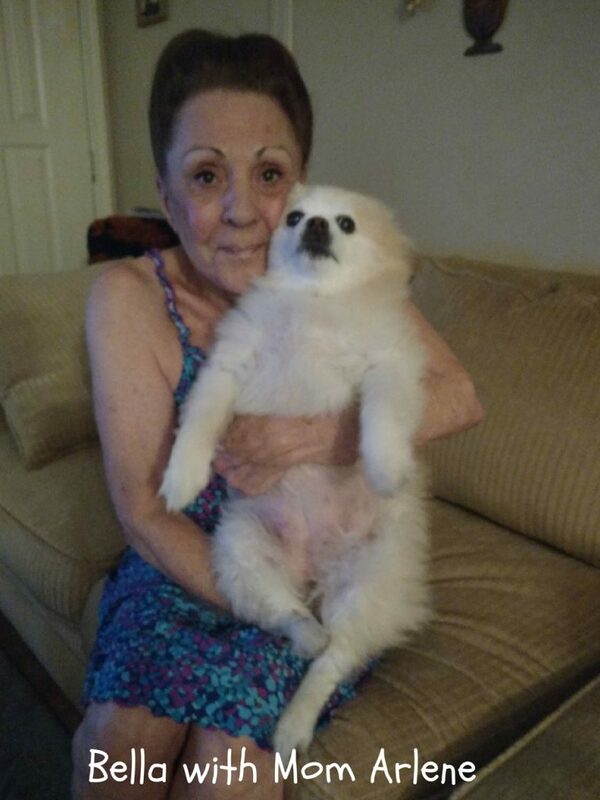 Applicants like Bella, a 10 year old feisty Pomeranian mix. Bella’s owner, an 88 year old senior citizen, struggled financially to cover her own living expenses. Bella was a constant source of love and companionship for her owner. 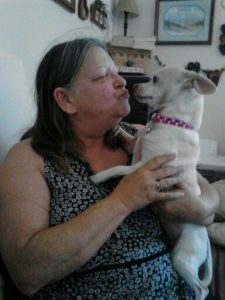 She had been diagnosed with a heart condition almost a year prior to coming to Elder Paws. However her owner was unable to afford the heart medication essential to treating Bella. By the time Bella came to us and was seen by our vet her heart condition had progressed to Congestive Heart Failure. She was started immediately on heart medication, which allowed Bella and her owner an additional year of being together before Bella succumbed to her heart condition. While Bella is sorely missed her owner is grateful for the extra time she had to share with her fur baby. Cathie Garnier is Executive Director of Elder Paws Senior Dog Foundation. For more information please visit www.elderpawsfoundation.org. This is amazing and so am so glad it’s here. Senior dogs and people need our love and financial support. They do not need to be ignored! I will share your post. It really is heartbreaking to know there are people who literally have to give up a beloved old dog, because they can’t afford the vet bills. So sad indeed. Thanks for sharing. Thank you for sharing the post! We would love to see more pet retention programs develop, providing the option for financially disadvantaged pet owners in all areas of the country to retain the companionship of their furry seniors. Education is key for this to happen. Ruth, we began as a rescue but when we encountered a very sad situation with a critically ill dog whose owner was living at poverty level and could not afford to care for her we began to see a whole different way of rescue. Sadly this dog died before we could get her help. Rescue comes in all shapes and sizes and every pet owner who gives up a senior dog is not dumping them simply based on age. Compassion and some funding can help keep owner and senior dog together. This gave me goosebumps! I have felt frustrated by reading about older dogs who were placed in shelters, received medical care and then rehomed because I knew they had loving homes to start, just a lack of money to pay for their care. This is such a wonderful way to keep pets and humans together! Beth, we tend to think that all senior dogs are dumped at shelters simply because they are old and unwanted. But there is a whole segment of the population living on the edge of poverty who love their companion animals dearly just do not have the money to properly care for costly aging pets. It’s so sad knowing people are having to surrender pets because they can’t afford to care for them. Nice to know an organisation like Elder Paws is making such a difference in the lives of seniors…2 legged and 4!